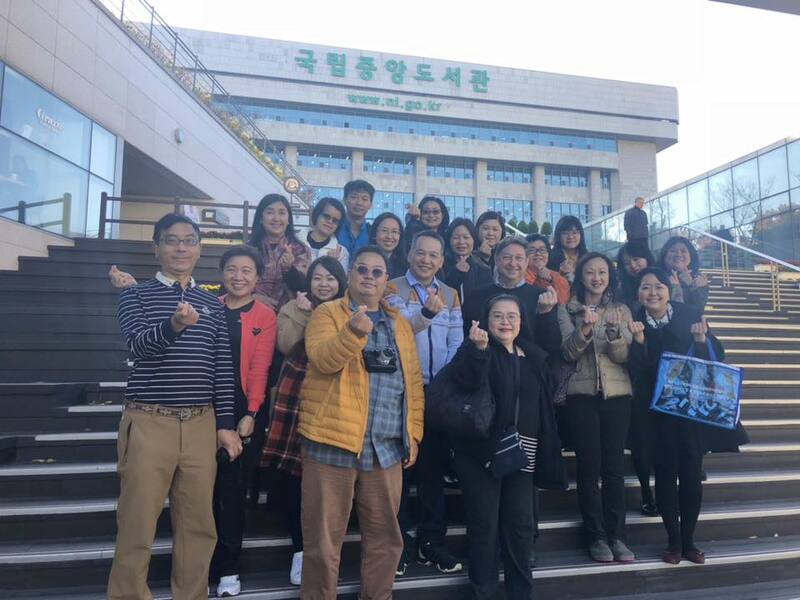 From October 30 to November 4 of this year, I had the privilege of taking part in the Hong Kong Library Association study tour to Seoul, Korea. This was my second HKLA tour; last year I joined the HKLA tour to Tokyo, and it was fun to reconnect with Tokyo friends as well as to meet new friends on the trip to Seoul. This year’s tour was just as well-organized as last year’s, thanks to the efforts of our Program Officer and tour operators from Hong Kong and Seoul. Because I am still relatively new to Hong Kong, (I arrived in October 2016), these HKLA tours have given me the opportunity to expand my network of Hong Kong library colleagues, and also to see firsthand many exciting and innovative libraries in Asia. During our several days in Seoul, we toured a fantastic mix of government, university, public, and corporate libraries, the latter being the Nongshim Food Culture Library. Even before we arrived, I had read that Seoul is considered one of the most wired/networked cities in the world. Therefore I was not surprised to see impressive technology applications in several of the libraries that we visited. These included sophisticated automated book retrieval and delivery systems in the National Assembly Library and the National Library of Korea, a self-service vending machine for users to access requested materials at Korea University, and state-of-the-art book return systems at Seoul National University. Also at Korea University we toured the CJ Creator Library, a futuristic library space that includes student amenities, production studios, and event spaces. From the perspective of collection management, I was impressed how some of the libraries only keep the most recent publications on their shelves for user access, often only titles published within the past two years. Everything older than two years is placed in storage and retrieved upon request. I can also mention one more library that made a big impression on us, and that was the spacious Starfield Library that sits in the middle of the COEX shopping mall. I have learned that mealtimes can be just as important on HKLA tours as library visits, and we were not disappointed in Seoul. Our tour organizers arranged a temple-style vegetarian dinner and a series of lunches that featured Korean Barbecue, Hot Pot, and the famous Ginsing Chicken Soup. 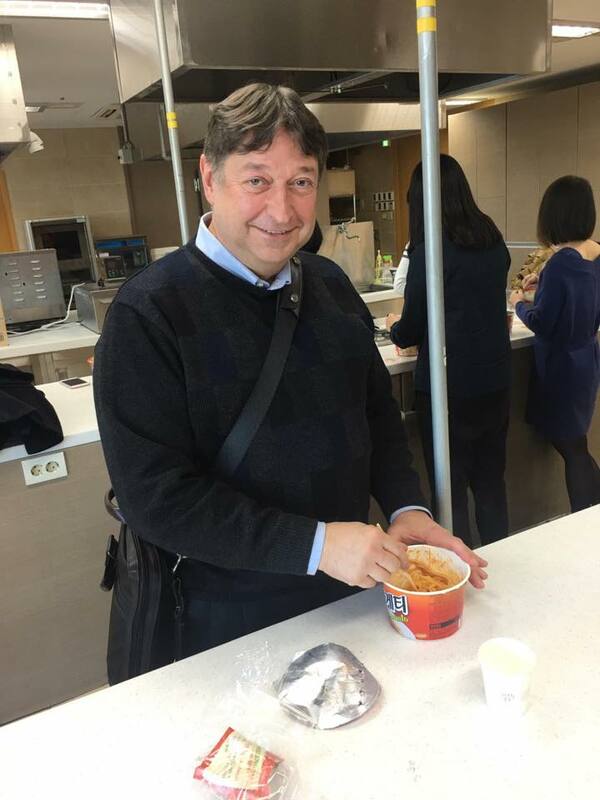 We even got to cook our own snack in the Nongshim test kitchen by trying a new and tasty instant spaghetti dish (alas not yet available in Hong Kong). After the tour ended, I returned with the group to Hong Kong, maybe weighing a bit more, but also with my head full of new library ideas and applications.